I slept most of the weekend. I got it like that... Don't you wish you had my life? She changed her mind about the knobs a few 1000 times. She said she would get back to you later about what she decided. I'm off to my chair, so I hope ya'll have a good day! Ha! Thanks for the chuckle!! 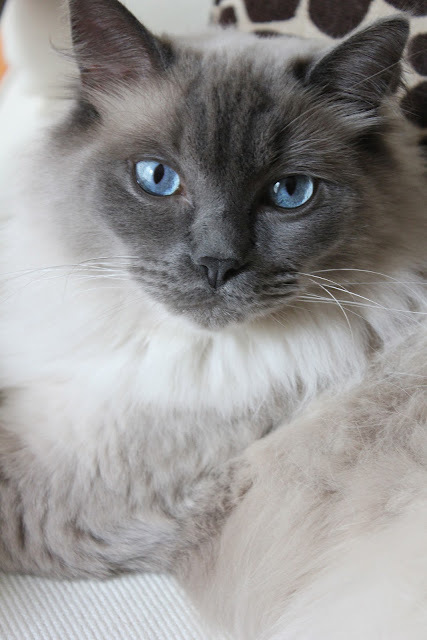 And, you cat has the most gorgeous blue eyes. Precious!! Perfect post for a monday laugh! Ol, so I don't usually like cats, but your cat is so gosh darn CUTE!!!! My goodness! And his eyes are beautiful, too! Ol was supposed to have been ok. Darn touch screen. Oh I LOVE Mr. Maxwell! What a cutie! Too cute, Tiffany! He is adorable. I'm going to have to get Lucy in on the fun! The cookies were a huge hit today, by the way! Hahaha! This made me smile! We love our pets, don't we?! oh em gee! looks just like my kitty!